I’m having a number of reboot series (and some new ones using old names) being matched with the wrong series. I started to add to the metadata correction table, but it is becoming unwieldly. So, I am looking to the “Prioritize matching by Original Broadcast Date” setting to help. My expectation for this setting is that it will use the original broadcast date available in the NPVR metadata to correctly find the correct series during the MCEbuddy metadata lookups. What I am finding is that MCEbuddy will first search TVDB and find the wrong match using season and ep, which in turn overwrites the original broadcast date in the metadata cache, so when it comes to TMDB to look up by original broadcast date, it is using the wrong date and finding the same wrong series that was found in TVDB. Some of the series I encounter this with include: Happy Together, S.W.A.T., New Amsterdam, MacGyver, and others. I’ve uploaded the logs for S.W.A.T. and MacGyver. The only reason I have the metadata lookup enabled, since NPVR metadata is already available, is that I want the premiere year available to name the file correctly for Plex to use for it’s lookups. Can anyone confirm that perhaps the order of the lookups is the culprit? I would recommend using the latest 2.4.9 beta version which has many improvements to metadata matching. If you’re still seeing an issue post back when the new logs and we can look into them. There is an inherent issue to which source of data is the “truth”. TVDB, IMDB, TV.com etc. We have tried to address this conflict in many ways but it’s an ongoing process since no single source is perfect. Ok, I updated to the Oct 15 release yesterday and the results are different, but still incorrect. First example is Magnum PI. The rest doesn’t matter as we’ve lost the correct original broadcast date. Second, New Amsterdam, which I have a correction entry for it’s TVDBBId. This corrects the title to New Amsterdam (2018) and there doesn’t seem to be a lot more metadata lookup beyond TVDB. Third, Hawaii Five-O, seems to lookup correctly. Any idea why the Magnum PI ended up with bad data when H5 O didn’t? This is a tricky topic and that’s because each source of metadata is incomplete is on way. For example TV.com has Magnum PI the original version but not the new one. TVDB has SWAT original but not the new one. So each one is complete and since the names matches they sometimes confused the series. There are other bugs with recording devices where the premiere date is mismatched so MCEBuddy tries to “correct” by using the right date from the online metadata services but in this case since the series was mismatched it ended up putting a wrong date. This has been fixed in today’s 2.4.9 BETA build. I updated to the Oct 24 build and it worked on Hawaii Five-O, but not SWAT or MacGyver. I’ll grab the Oct 26 build and see what those changes produce. Just an update that I have gone with the correction table solution. However, even though the correct series is found for metadata, the premiereyear variable is not found for series added to thetvdb after apiv2 was released, for example Magnum P.I. Since I use Plex I have the filename set to %showname% (%premiereyear%) and with no premiereyear value, plex treats this as the original series. Can MCEbuddy do a search for the earliest ep date to fill this value? If you attach your conversion log we can replicate and see if there’s another way to scrape or match that information. We cannot use earliest episode since that information isn’t always accurate or complete. I think Will & Grace also fall into this category, along with Magnum P.I., McGuyver, New Amsterdam (I forced it to the correct show). Also, shows like Survivor (always picks the TU (Turkish) version, where the entry doesn’t have a country code, so it shows up first in TVDB searches) and The Voice (always picks the AU (Australian) version) that have nation-specific versions should try to select the country of the show based on some new parameter or by Windows default location/country or language settings. Can you attach your conversion log and outline the specific issue you’re facing. With the latest 2.4.10 now it matches the premiere year if that information is available in the file metadata. Is the issue that the TVDB metadata is incorrect? The guide data and TVDB disagree on Will & Grace. TVDB thinks it is a continuation and seasons 10 & 11 of the original series. The US OTA guide data says it is seasons 1 & 2 of a separate reboot series. So HDHR embeds season 2 in the metadata, and MCEBuddy replaces it with the TVDB info ftom season 2 and names the file as if it were season 2 for Plex. I can’t figure out how to override that. Can you try it with the latest 2.4.10 and attach your conversion log. You could also flag/submit a correction request to TVDB. This issue is specific because it’s using the reboot series and there’s no indicate of the series premiere year in the metadata. We’ve patched it up today’s build, it won’t use the season/episode to match if there is a subtitle already present so now it won’t cross match reboot series with original series. would be better and lead to better results. I confirmed this worked for this week’s Magnum P.I. 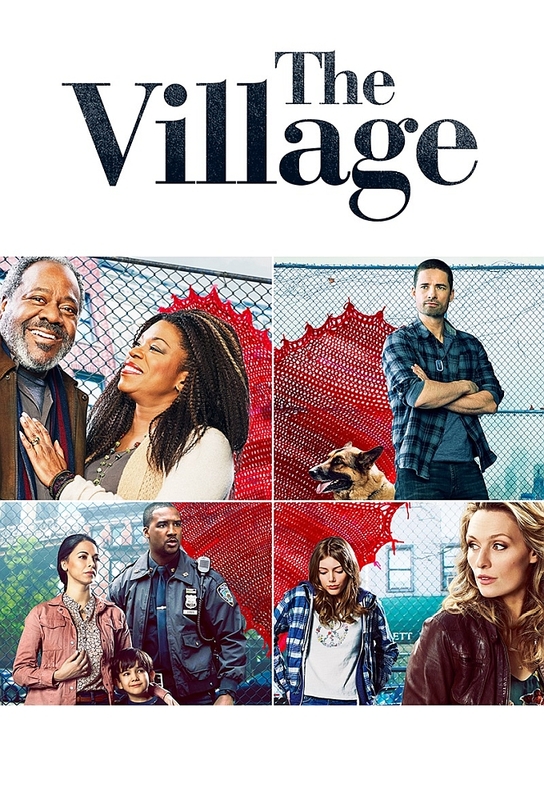 However, the new series The Village looks like it was initially recognized as 2019, but got set to 2013. Log attached. And another one for the new series The Murders, which looks like it found both 2019 (correct) and 2018 premiere years, but didn’t set either. Description: Sarah uncovers more of Katie’s secret and has a confrontation with Nick. Enzo struggles with a disappointing new roommate. Ava makes progress with her case. For The Murders your subtitles (The Long Black Veil) doesn’t match the online databases (The Veil) so it can’t find a proper match on tv and imdb, where it does find a match (tvdb), the series year information is not available.